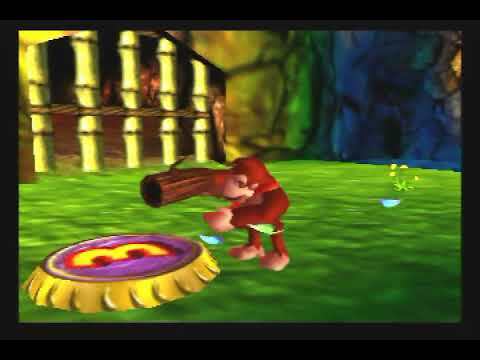 OverviewEnjoy barrel blasting, special powers, and saving the Kongs from King K. Rool in the Nintendo 64 installment of the Donkey Kong series. 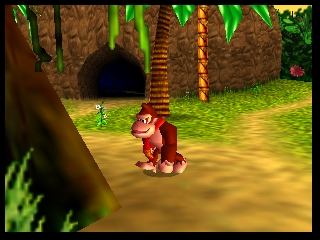 Donkey Kong 64 is 'THE' Definitive game in the Kong series. Featuring the intense playability of 6 different characters freely switched through in single player mode (also fantastic multiplayer war games for up to four players at once). This game has it all for you Nintendo Ape fans. Secrets and puzzles, the vast ever-changing world of Kong Island, and enough hysterical storyline with reminesint characters for ages of replayability. A must have for any true Ninendo Collection. Also, I might add, the game opens, with the greatest monkey rap ever to be written, plus, they dance. Download it! Play it! Love it! Now you can add videos, screenshots, or other images (cover scans, disc scans, etc.) 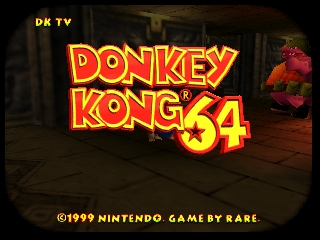 for Donkey Kong 64 (Europe) (En,Fr,De,Es) to Emuparadise. Do it now!